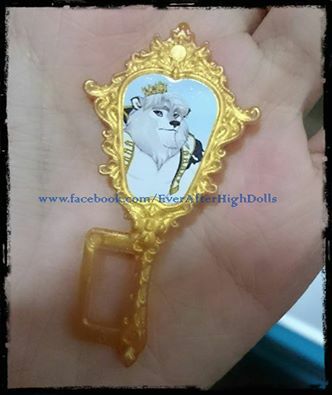 *SPOILERS* Ever After High Darings mirror. well it seems daring isn't snow white's prince after all. He seems destined to be a beast, no wonder he likes mirrors. Wallpaper and background images in the Ever After High club tagged: photo daring charming. We already found out in"Dragon Games"that Daring is Apple's prince.I just knew that Daring was destined to be the Prince from"Beauty and The Beast" and the"Rosabella and Daring"two pack confirmed it.